Installed in New York City on the corner of 9th Avenue and 14th Street. 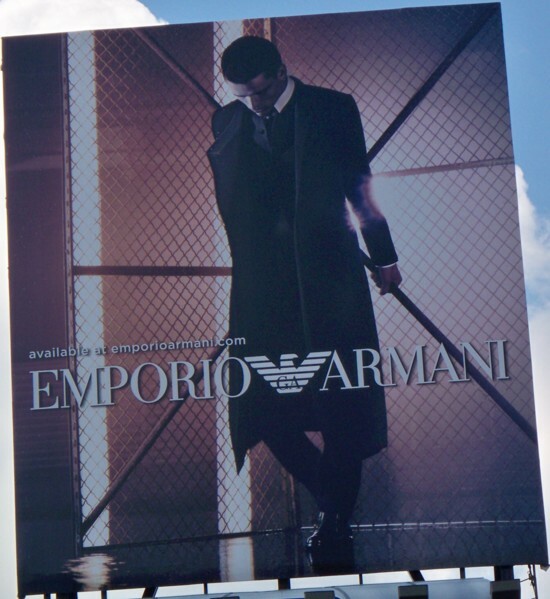 A theme in some of the other Armani billboards was the live model in a dead landscape. Here, something different is at work. The fencing evokes a spider’s web, with the male model at the center. 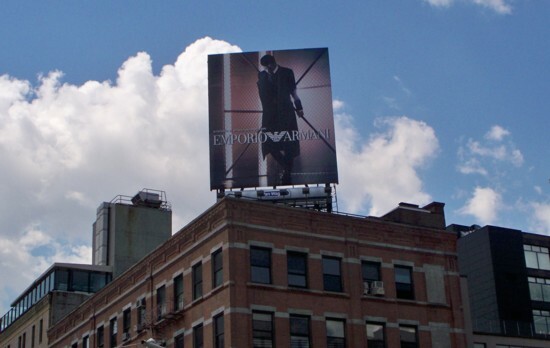 The current Armani billboard uses the fantasy of Spiderman and the other Marvel comics heroes dominating the urban streetscape.